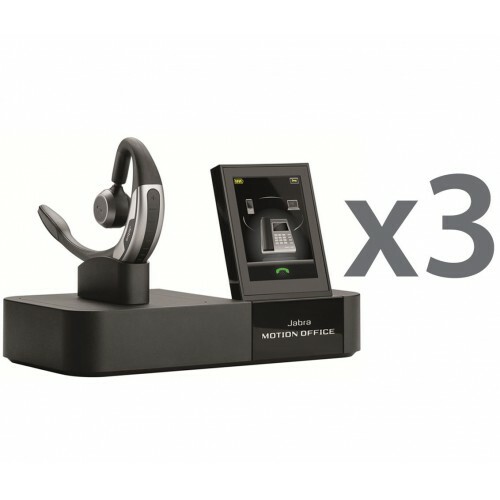 This set of three Jabra Motion Office wireless headsets features multiple connectivity options. You can use with your smartphones, VoIP softphones and deskphones. Thanks to its innovative built­ in sensors, you'll be far less likely to miss an important call. When you have an incoming call, all you need to do to answer it is pick up the headset. To ensure an interruption ­free experience, it will automatically adjust the volume to compensate for any background noise in your surroundings. 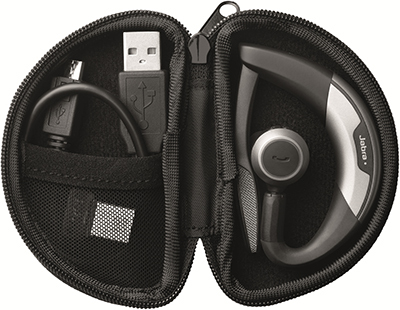 Alternatively, you can answer calls by using your voice or adjusting the foldable frame.